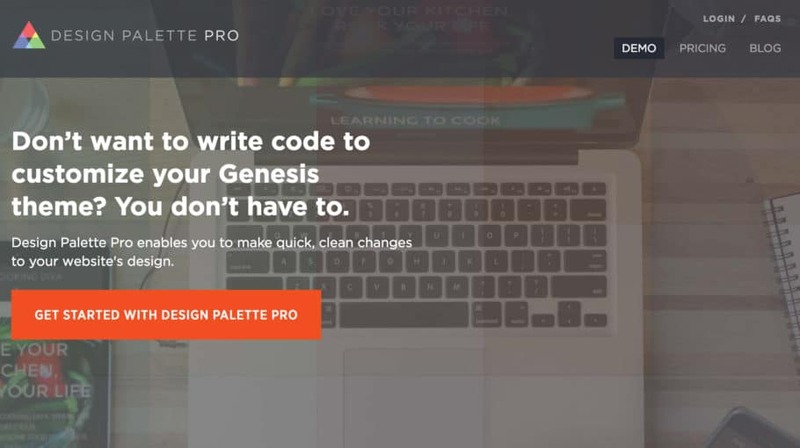 If you’re running the Genesis Framework from StudioPress on your WordPress website, and you really should be, there are some awesome plugins you can install to enhance the functionality of your site. I’ve tested almost all the popular plugins available for the Genesis Framework and based on my experience we’ve put together a short list of what we consider to be the best Genesis plugins. Alright, it’s not very often that I use the phrase “game changer”, but that’s exactly what Genesis Design Palette Pro is. If you want to have full control over the way your site looks without having to write a single line of code, this is the plugin you need. Once you install it, you’ll have full control over every visual aspect of your Genesis theme. Want to change the color of a heading but leave your body content unchanged? No problem. Want to change the color of your content background without messing with any code or worrying about breaking anything? All you have to do is point and click. This is honestly one of the coolest plugins to come out for Genesis to date and it’s well worth every penny. I used to tell everyone to use the Genesis Featured Widget Amplified, but it’s no longer a viable plugin. The code is out-of-date and it doesn’t work with the latest version of Genesis. Luckily, Travis Smith has rebuilt the plugin from the ground up and given it a new name. Lots of times you’ll find that a plugin is overriding your theme’s built-in styles, even when you don’t want it to. There are lots of ways to fix this, but our friend Carrie Dils has created a simple plugin that will take care of the problem in a lot of situations. There’s no settings or options, you just install it and it will force your theme’s stylesheet to load after the stylesheets of your plugins. Because of how CSS works, this will force it to override MOST plugin style conflicts. Awesome! The Genesis Simple Sidebars plugin is essential for anyone who wants to control the content of their website or blog. It allows you to conditionally place different content in the sidebar areas of your site without writing any code. Need to display different widgets on a particular post or page? Just create a new simple sidebar and choose it from a drop-down menu. Simple! Crafting an awesome headline for your posts and pages is extremely important. Unfortunately, sometimes using the Page title input for your awesome title can make managing your content difficult. Using the Genesis Title Toggle plugin lets you stop the title from being displayed so you can name your page whatever you want and still have a custom, high-impact title. Want to make sure your content is readable when printed? Just install the Genesis Printstyle Plus plugin and call it a day. You can even add custom print styles by adding a CSS file to your child theme’s root directory. Make sure you read the plugin documentation for more info.